I’m a huge fan of DIY beauty products because most of the time they can be made without having to take a trip to the store. A lot of times the ingredients are household items. 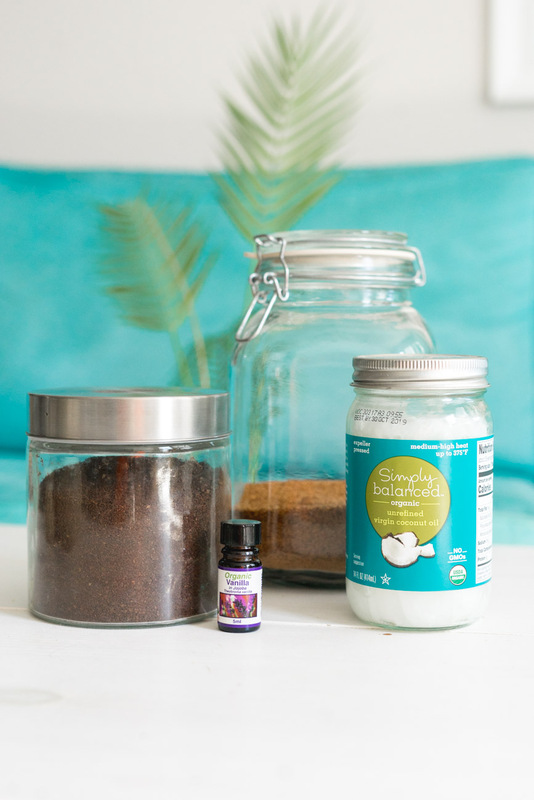 For this DIY body scrub, I used only 4 ingredients and the results are amazing. I used this scrub to get rid of my faded fake tan and it took maybe 5 minutes to scrub my entire body rid of the tan. It also left my skin hydrated and super soft. 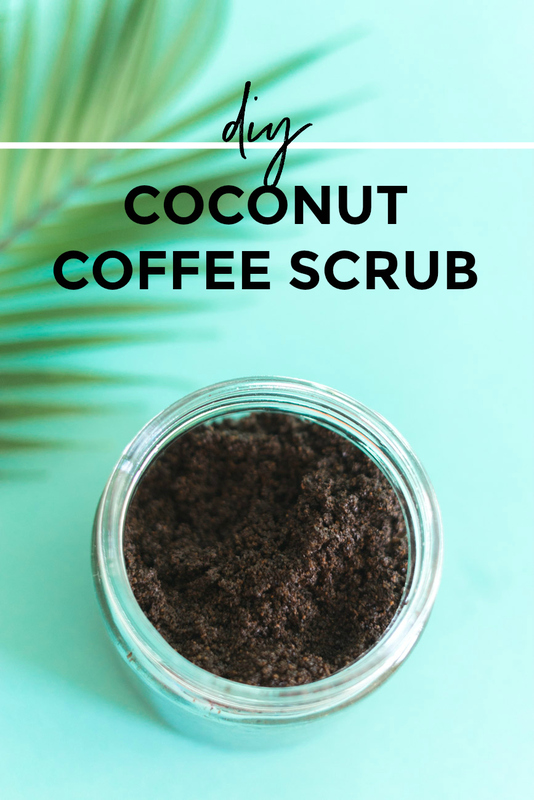 I’ll be using this coconut coffee scrub at least once a week. Plus, it smells heavenly. There are more benefits than meets the eye with this scrub as well. 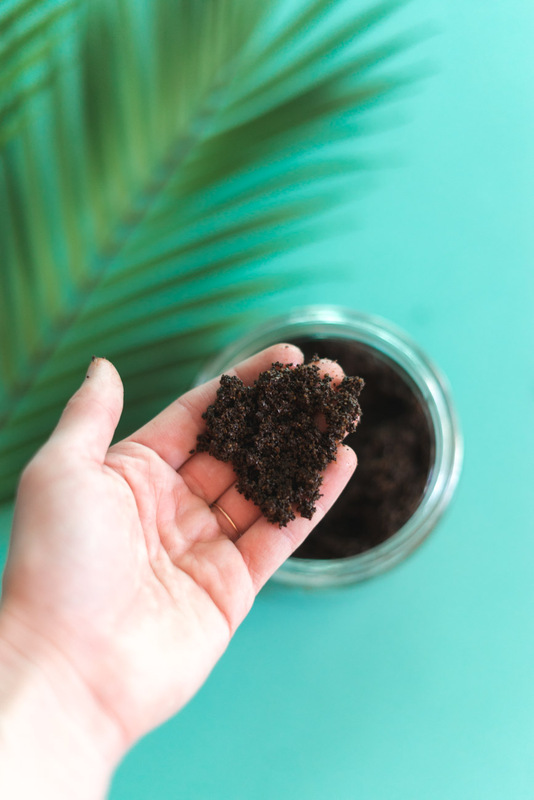 This coconut coffee scrub is so easy to make that if you run out, you can make some more in about 5 minutes. I filmed a video tutorial but if you’d rather read the steps, then keep scrolling. Melt the coconut oil by placing it in the microwave for 30 seconds then mix it with the coffee and coconut sugar. Add in vanilla essential oil to give it even more of a yummy smell. I put around 10 drops or so. Put the scrub in an air-tight container and store in the refrigerator. Try to keep water out of it or else mold might start to grow. 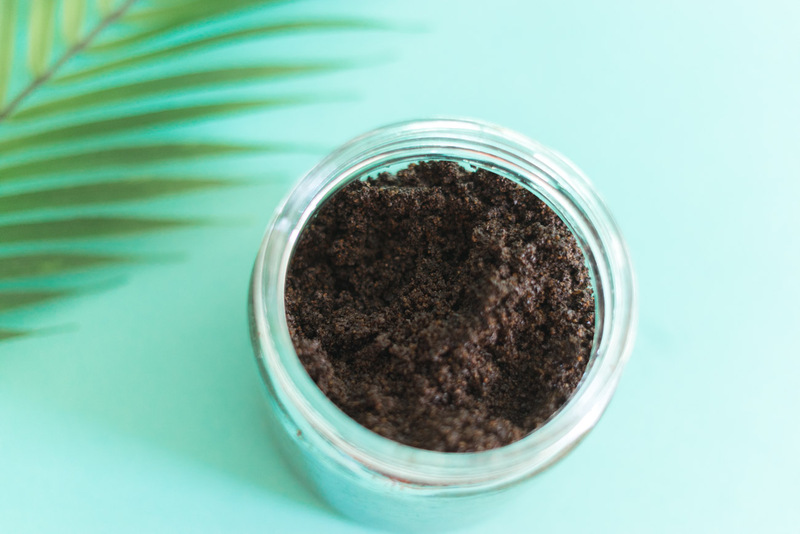 Every time I open my jar of this coffee scrub, I’m immediately hit with that yummy coffee smell with hints of coconut and vanilla. Your body will thank you and smell pretty good after using this scrub too. There are so many benefits in the ingredients used for this DIY body scrub. You’d be crazy to not want to gulp up the anti-aging, moisturizing, exfoliating, and cellulite-reducing benefits. If you’re not into the smell of coffee, try making this sugar scrub. It uses strawberry and lemon! It is SO easy. Thanks for reading! 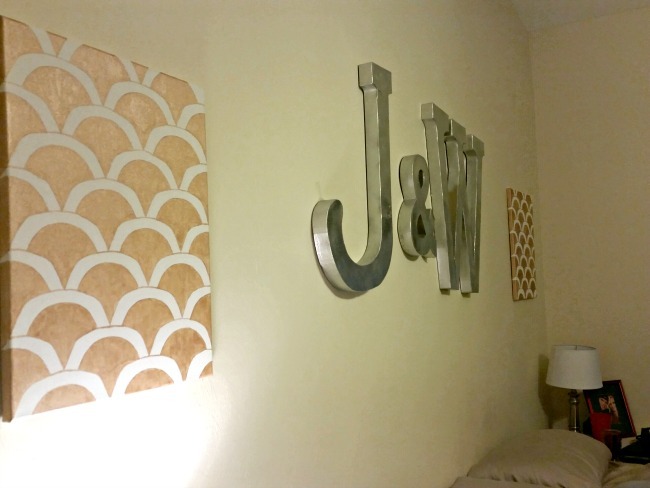 Seriously debating if I need to go make this like, right now. It sounds like it smells amazing, is there any way to get this scent in candle form, ha! Hey Coutney! 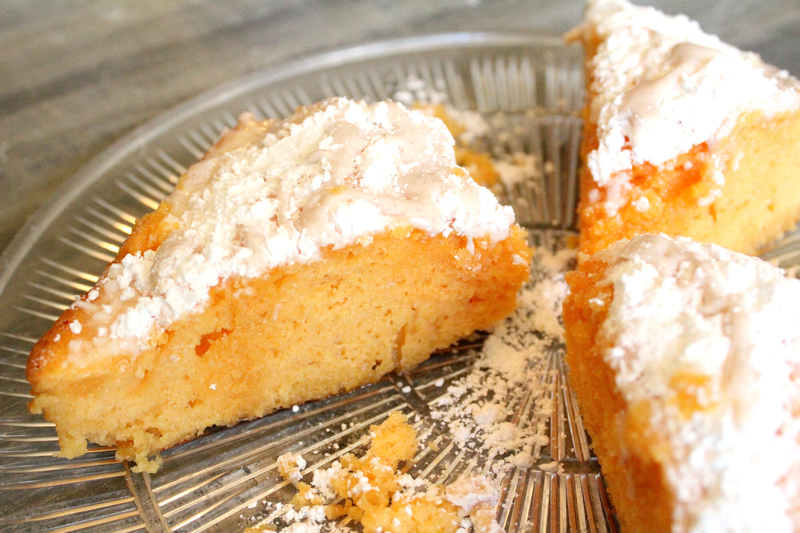 You definitely need to make this ASAP. As for candle form, hmmm you got my creative juices flowing. I might have to make it! This is a recipe I didn’t know I needed! I spend so much on exfoliating scrubs. This could save me a few bucks plus great benefits! <3 Thanks for sharing! 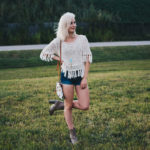 DIY scrubs are a great way to save money because they are so easy to make! Oh my word, I bet this smells AMAZING! I’m going to have to try this! I am always looking for a great body scrub! I smells great and works great! It feels even better when you keep it in the fridge too. It’s like a cold, refreshing wake-up scrub!